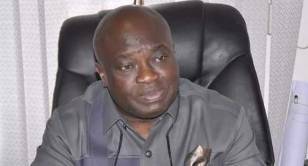 The Abia State Government says the second tranche of Paris Club Refund received by the state was below expectation and insufficient to clear the backlog of salaries. The Commissioner for Finance, Obinna Oriaku, who confirmed that the state has received N5.7bn as the second tranche of the Paris Club refund, told journalists in Umuahia that the state is now in a bad situation as the government had expected more. According to him, the state expected between N12bn to N14bn and the N5.7bn it got cannot take care of all the outstanding debts owed workers. “What we got, of course, is very surprising. Before now, we expected that the worst we should get as a state may be between N12bn and N14bn, that was our expectation,” Mr Oriaku said after a meeting between the governor and the leadership of organised labour in the state. He explained that the situation was made worse because the governor has promised the civil servants that before the end of July this year, all the outstanding payments would be made. “I mean what do we do? We called the labour leaders to explain the situation and its implications that the fund would not go round as it is not enough, and would not take care of all the outstanding,” he added. He, however, assured workers that the state government remained committed to paying the arrears and outstanding debts. The state chairman of Nigeria Labour Congress, Mr Uchenna Obigwe, said the development is worrisome as the government is heavily indebted to the workers. He said, “Hearing what the government has told us now – that the state has received only N5.7bn because we do not know how we will manage our issue. There is a lot of indebtedness and it was not occasioned by this administration.